I wanted to make this post because there is one misconception about minerals that I hear often. Some people will say, “Oh I took magnesium/zinc/vitamin C, but it didn’t work for me.” The thing is, minerals don’t just “work”- they are ESSENTIAL to life. Minerals are known as the spark plugs of life- we cannot look at them like we look at pharmaceuticals that are created for specific illnesses. If you have a symptom like anxiety or constipation, and you tried one isolated mineral and it didn’t work for you, then you are probably lacking in the co-factors of that nutrient as well OR you have other imbalances going on. Plus it is essential to focus on gut health (especially increasing stomach acid) so we can absorb ad utilize our nutrients properly. Keep in mind that all of the food recommendations are for organic, grass-fed, or non-GMO foods! The quality of the food we eat is so important. There are some instances where supplementation can be beneficial but it varies person to person. Also notice how so many minerals are needed for certain symptoms, like insomnia, anxiety, depression: we need multiple minerals for proper function- this is why proper testing is so essential to figure out your personal imbalances. OK So let’s get into this! Each mineral profile will have its purpose, where you can find it in food, and whether supplement form can help or not. Magnesium is one of the minerals I have already written a post on, so you can find the whole thing here. To recap: Magnesium is one of the most important minerals and it is the most common deficiency. We need magnesium for thousands of enzyme reactions and proteins in our bodies. Our soils are depleted of this nutrient, stress makes us burn through it, and with the over-abundance of calcium in our diets it is easy to become magnesium deficient. Magnesium is need for energy production, cellular health, nerve/muscle/joint health, hormone regulation, and much more. Magnesium’s co factors include boron, bicarbonate, and vitamin B6. Magnesium needs to be balanced with sodium and potassium- this is why HTMA testing is great, because it will show you how your levels of these crucial minerals are! You can find magnesium in: pumpkin seeds (raw and hulless), dark chocolate, unsweetened cocoa, stabilized rice bran, seaweed, and pine nuts. citrate- can be irritating to the gut, but is well-tolerated by many; Natural Calm in the most popular brand since it is non-GMO and really helps with sleep; it is not very good for raising mag levels but it does help alleviate symptoms quickly. Citrate apparently can have negative effects on ceruloplasmin production so it is NOT my first choice. This is another mineral that I have a nice long post about- check it out here! Iodine is one of the most controversial topics out in the mineral world- it is a VERY potent detoxer so supplementing is not always the best course of action for people, especially for those with low adrenal function. Iodine is most important for thyroid health- thyroid hormones do play a part in all of the body’s functions. Not only are we iodine deficient, but we are overloaded with iodine antagonists- bromine, chlorine, and fluoride are the biggest offenders. So it is not only just important to include iodine, but you have to reduce your exposure to these other halides as well. Co factors of iodine include magnesium, selenium, vitamin C, manganese, and a few b vitamins. It is suggested to have optimal selenium and magnesium levels before you even consider iodine supplementation. You can find iodine in: seaweed, scallops, cod, yogurt; trace minerals, kelp, cranberries, turkey and strawberries. Find my post on manganese here. Manganese is a very over-looked mineral but it is a very common deficiency, especially for those with copper dysregulation issues. Manganese is important for many enzyme reactions in the body. It is most important for protein and carbohydrate metabolism, cholesterol and fatty acid synthesis, brain health, nervous system health, and collagen formation. Manganese is actually involved in the detox enzyme superoxide dismutase ( which involves copper and zinc as well!) and it is extremely important for adrenals and thyroid health. You can find manganese in: Cinnamon, cloves, raspberries, spinach, nettles and red raspberry leaf, brown rice, garbanzo beans, oatmeal and pineapple. Manganese is best obtained through food- it is a copper antagonist so supplementing can cause a copper deficiency, as well as copper detox symptoms. Sodium is found in all of the body’s cells, as well as in the blood and other bodily fluids. Sodium (along with potassium) helps to maintain the body’s fluid balance. Sodium plays a huge part in nerve transmission, muscle contraction, and for the creation of hydrochloric acid. We lose sodium through sweating and excessive bowels movements. Sodium has to have a balance with potassium and magnesium. You can find sodium in almost all foods but the best way to get sodium is through an unrefined sea salt. You can read this post on how to make salt water sole, which is a great way to fix a sodium deficiency. Potassium is one of the most common deficiencies. We need over 4000mg of potassium a day and that is VERY hard to get, especially on a Standard American diet. Potassium is essential for nerve and cell health, as well as heartbeat regulation, energy production, and the metabolism of carbs and protein. Vitamin A as retinol helps us to retain potassium more efficiently. Potassium needs to be in balance with sodium and magnesium. You can find potassium in: orange juice, coconut water, sweet potatoes, blackstrap molasses, white potatoes, cream of tartar, bananas, fresh fruits and veggies. Supplemental potassium comes in very tiny doses, so it is much easier to get this nutrient from food. Zinc is a critical nutrient that many people are deficient in. Zinc is needed for hundreds of enzyme reactions in the body and is extremely important for our health. It is very easy in this day and age to become zinc deficient because of a few factors. We tend to “waste” zinc while we are stressed, so we burn through it quicker. Zinc is needed for at least 300 different enzyme reactions in the body. You can read my post on zinc to learn more! We want to make sure that we have sufficient stomach acid to properly utilize our nutrients, especially zinc. Check out my post on stomach acid here! You can find zinc in oysters, beef and lamb, wheat germ; pumpkin seeds. Supplemental zinc can cause issues for many people. Too much isolated zinc can actually create a copper deficiency over just the span of a few weeks. Too much zinc inhibits the production of a copper-binding protein called metallothionein. Metallothionein traps copper and prevents it from being absorbed. Also, the longer you supplement with zinc, the less zinc you actually absorb. The recommended amount of zinc will vary person to person as well, so there is no general recommendation on the amount of zinc you may need. Males generally need more zinc than females because of zinc’s relationship with testosterone. You can find copper in eggs, organ meats (especially grass fed beef liver! ), poultry, beans, nuts, and shellfish. BUT- we want to make sure we focus on ceruloplasmin production before adding in too many high copper foods. Many people with copper dysregulation do very well with beef liver because it already has vitamin A in it, which helps make copper bioavailable. I would not supplement with copper, especially without knowing your levels of copper, ceruloplasmin and zinc. Sulfur is another mineral that is severely depleted from our soils. This mineral is actually found in all of the cells and tissue of our bodies- it is THAT important! Sulfur is needed for collagen formation, and protein synthesis. It helps the health of our skin, hair and nails as well, plus it is essential for many enzyme reactions, cell health, brain health, and joint health. Sulfur is also one of the most important minerals for detoxification! You can find sulfur in: eggs, fish, poultry, milk, meats, garlic, onions, broccoli, cabbage, and bone broth. Many people have success with sulfur supplementation but because of its importance in detoxing, it can be too strong for most people. Boron is an essential trace mineral that has a huge role in the parathyroid glands. Boron helps with the proper utilization of both calcium and vitamin D. Boron helps in the regulation of the magnesium/phosphorus balance, helps regulate hormones, and is essential for endocrine health. Boron is a major co-factor of magnesium. You can find boron in apples, pears, grapes, prunes, nettle infusions, honey, borax, and many trace mineral supplements. Chromium is one of the most important nutrients involved in blood sugar regulation. Chromium is needed for proper carbohydrate metabolism, and it plays a role in energy production as well as cholesterol regulation. You can find chromium in brewer’s yeast, eggs, beef, shellfish, and organic whole grains. Phosphorus is not a mineral that we hear much about, but it is the second most abundant mineral in the body! 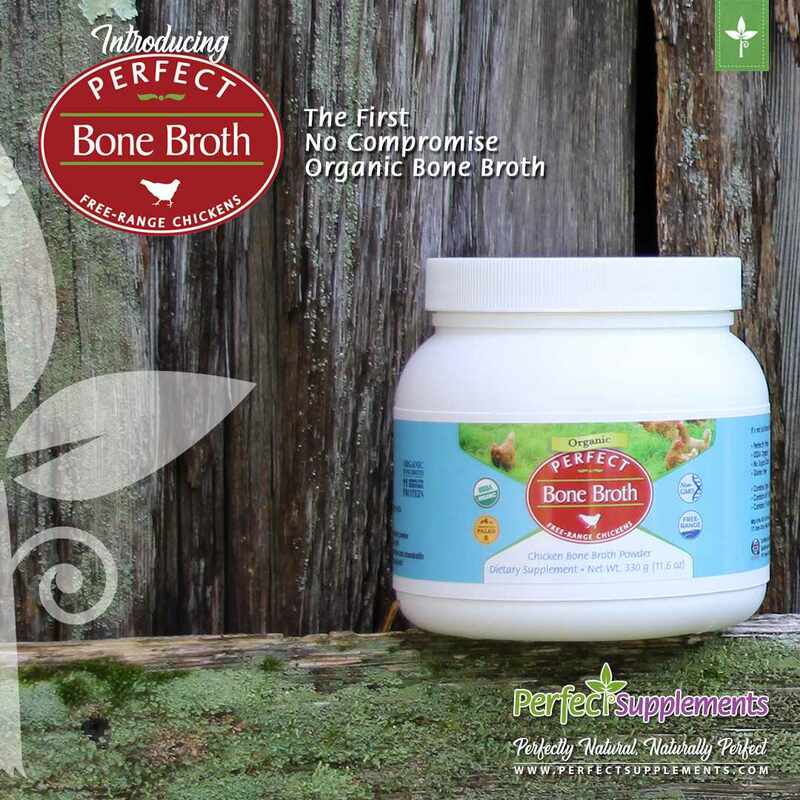 Phosphorus is important for bone and tooth structure, DNA and RNA formation, helps process the B-complex vitamins, as well as cellular health and energy production. Phosphorus (like most minerals, are we seeing a pattern here with this importance?!) is need more many enzyme reactions in the body. You can find phosphorus in: yogurt, milk, meats, fish, eggs, nuts, whole grains, and brewer’s yeast. This is the most abundant mineral in the body- 99% should be found in the bone (but over consumption is the cause of tissue calcification). The 1% not in the bones is needed for nerve transmission, blood pressure regulation, iron metabolism, proper cell division, plus health skin and teeth. There is an increased need for calcium during pregnancy, lactation, and adolescence. It is possible to have high tissue calcium as well as bio-UN-available calcium. We need magnesium to keep calcium in check. There are 2 hormones involved with calcium metabolism: calcitonin and the parathyroid hormones. Excess vitamin D makes us absorb too much calcium. You can find calcium in organic and grass-fed dairy products (quality of the food matter! ), nettle infusions, broccoli, dark leafy greens. I would NEVER suggest calcium supplements- they are linked to way too many health issues right now. Food sources will be better utilized and safer. Chloride is essential for the production of stomach acid, as well as helping to regulate the body’s acid balance. We need chloride for eliminating toxins, and for helping the lungs excrete carbon dioxide. We lose chloride through sweating, as well as though bouts of illness that includes vomiting and diarrhea. There aren’t very many known deficiency signs of chloride deficiency but it seems that impaired digestion and detoxification can be the main signs. You can find chloride in sea salt, seaweeds, lettuce, tomatoes, and trace mineral supplement. This is the most common mineral found in the crust of the earth. For our health, we need silicon for bone, arteries, cartilage, collagen, and tendon health. It helps to get deep into the tissues to eliminate stored toxins in our cells so it is very important for detoxification. Silicon also has a role in heart health, energy production, and tissue healing. You can find silicon in oats, wheat, and rice, as well as NETTLES, dandelion greens, oatstraw, alfalfa, avocados, and strawberries. Cobalt is an important co-factor of vitamin B12. This mineral plays and important role in red blood cell health, nerve and muscle health, energy production, and digestion. Cobalt is needed for a lot of enzyme reactions as well. You can find cobalt in liver, beet greens, cabbage, spinach, fish, and sea vegetables. You can find iron in liver, beef, molasses, kelp, beans, nettle infusions, and brewer’s yeast. Please DO NOT supplement iron, especially without proper testing! My personal experience with iron is that food based is so much BETTER! I have been anemic my entire life but iron pills never did anything. I drank nettle infusions almost daily for 6 months and brought both of my iron and ferritin up to the ideal ranges! I was beyond excited when I found that out- food IS powerful. Lithium has a huge role in serotonin stabilization- so it is a very important nutrient for keeping our moods balance, for helping with sleep, and keeping our brain and nervous systems healthy. Some experts claim that lithium also have some anticancer properties. There is a pharmaceutical grade lithium that has been used for decades to help those with bipolar disorder, insomnia, and mental issues, as well as alcoholism. Depression is the most common symptom of lithium deficiency. Lithium is not found in a lot of foods- sugar cane and seaweed are 2 of the most common. You’ll find lithium in most trace mineral supplements though. You can find molybdenum in beans, peas, leafy greens, and whole grains. Selenium is important for liver function, heavy metal detox, protein metabolism, and is and anti-cancer nutrient. This mineral is important in preventing heart disease, cancer, and blood pressure irregularities. Selenium also has a very big relationship with iodine. It is suggested to have optimal selenium and magnesium levels before you even consider iodine supplementation. Selenium can be found in Brazil nuts (that are grown in selenium rich soil! ), seafood, organ meats, and beef; blackstrap molasses is also a decent source. OK! Did I miss any major minerals? Please feel free to let me know. There are a few more trace minerals to talk about but these are the big ones. I will do more posts eventually on Vitamins and perhaps even amino acids. If you ever have any recommendations for blog posts, don’t hesitate to ask! I have a list of suggestions, but I can always use more.